At Private Investigator Macclesfield we provide comprehensive and complete close protection and bodyguard services in Macclesfield. We tailor every package to your requirements, evaluating the level of threat, and developing a robust solution. Whether you need a family member protected in Wilmslow, a bodyguard in Bollington or corporate protection in Prestbury we can definitely help. 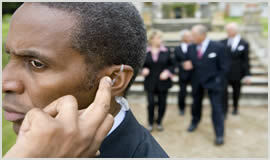 Our close protection services cover Macclesfield, Wilmslow, Poynton, Prestbury, Bollington. Contact by email through at closeprotection@private-investigator-macclesfield.co.uk, on by phone on Macclesfield number, 01625 724029 .